Stephen J. Petras Jr. is an international business lawyer involved in international business transactions, corporate structuring and commercial agreements. 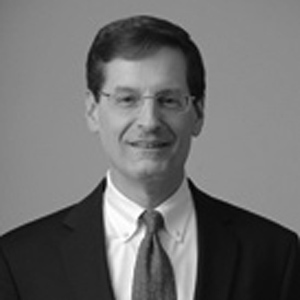 He has served as the head of Baker Hostetler’s International Industry Team from 1998 to 2012. Mr. Petras currently serves on the Board of the World Affairs Councils of America and the Cleveland Council on World Affairs. He serves the United States Department of Commerce as a Member of the Northern Ohio District Export Council. He is a Founding Board Member of the Northeast Ohio International Business Network. He is also the past Chair of the Board for the Cleveland Council on World Affairs and the International Law Section of the Cleveland Metropolitan Bar Association. He also has served as the President of the Greater Cleveland International Lawyers Group as well as President of the Cleveland World Trade Association, which later consolidated with the World Trade Center Cleveland, on whose Advisory Board he also served. Mr. Petras is an Adjunct Professor of Law at Case Western Reserve University School of Law, and a member of the Advisory Board of the International LL.M. program. Mr. Petras is the U.S.A National Director of the Canada-United States Law Institute and serves on its Executive Committee.